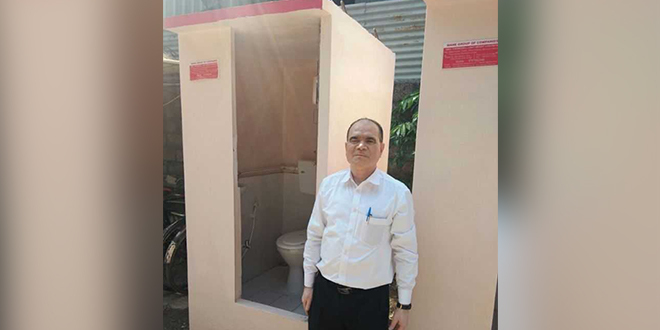 With an aim to provide every individual the basic thing – a toilet, Ramdas Mane has been making portable toilets using his innovation – thermocol sandwich concrete bricks that can be built in just two hours. ‘I have grown in a family where there was no toilet culture. I have seen women of my house going out in the open to defecate, I have seen them suffering. This was not just the story of my house, but my entire village,’ says Ramdas Mane, from Satara district in Maharashtra, who has struggled his way till class x. But, today is a proud founder of ‘The Mane Group of Industries’, a company that has been making thermocol machines since 1994 and portable toilets since 2007. 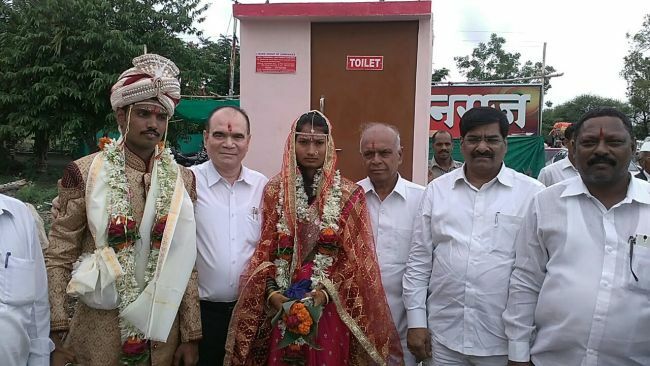 Till date, Mr Mane has supplied more than 22,000 toilets in more than 17 states of India, moreover, has also given these toilets as wedding gift to some 25 girls who couldn’t afford to construct one at their home. 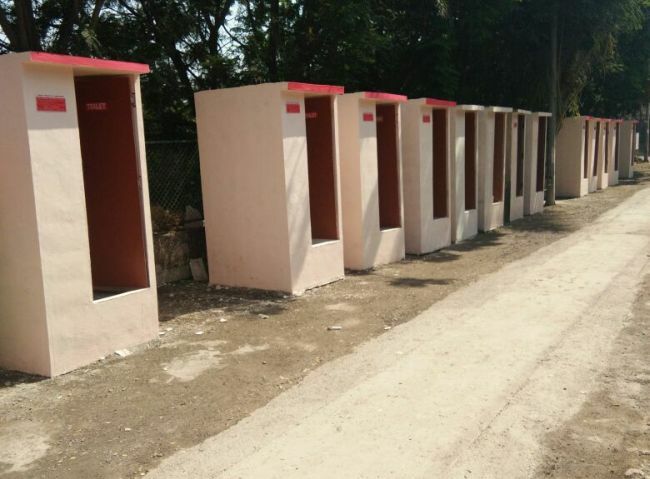 But, that’s not the only reason why his story is special; the other reason why his story is different is the fact that he has constructed all these toilets out of thermocol waste and that too in just two hours. Yes, you heard it right! I worked as a waiter, at a construction site and many other areas. That time whatever work came my way, I accepted as it is. The reason, I wanted to complete my education and one day, do something that in turn can help thousands around me. I successfully completed my Industrial training and got internship at one of Mahindra and Mahindra Companies in Pune at a stipend of Rs. 100. Further, I cleared one of the internal exams and became a permanent employee in the company. And, after that there was no looking back. In 1994, Mr Mane left his job and decided to start his own business, the business of making thermocol machines. There were lot of struggles, but soon Mr Mane overcame each one of these. In 2007, he even made it to Limca Books of Records for making the biggest thermocol machine. In 2007, Maharashtra former Chief Minister Vilasrao Deshmukh started a swachh abhiyan in the state. In that he said, first village that is able to construct toilets in each of its houses will get a prize of Rs. 25 Lakh. It took my village one and half year to make 198 toilets, but in order to win the price we were short of just two more toilets. And, we just had eight more days to complete the task. Back then, making a toilet was a very big deal. We had to get bricks from one place, door from another, cement from a different place. And it used to take days and days to just construct one toilet. As days were passing and our chances of losing emerged as the eminent reality, I was pressurised by my village people and officers, they said, ‘Sir, you are a big industrialist, why don’t you research more on making a smart toilet that can be made in few days. And, that got me started with the idea of making thermocol toilets in just two hours. That time, Mr Mane made two toilets out of thermocol which was later used as prototype for his toilet making business. Highlighting details on how these toilets are made, Mr Mane adds. The process is simple, through my thermocol making machine, I take all the scrap thermocol and recycle it. Then, give it different shapes, for example a big rectangular shape for the slab, and some small bricks for laying walls. The bricks are called, thermocol sandwich bricks. 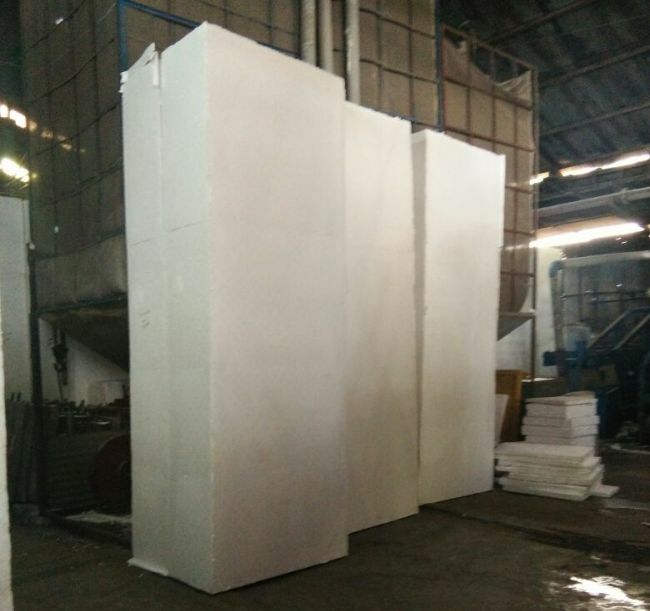 Once the structure of thermocol is laid as per the design, we coat it with concrete cement. The process of preparing the structure takes us two hours and to dry cement coating it takes four more hours. Today, Mr Mane has four models of toilets, one a basic toilet at a cost price of Rs. 13,000, second model with tiles at a cost price of Rs. 15,000, third model with European seating and a wash basin at a cost price of Rs. 22,000 and fourth one a light-weight portable toilet at a cost price of Rs. 35,000. The construction time for the basic model is 2-hours, that is given without any plumbing facility. As in rural areas, people carry water buckets along with them. Other models also take 2 hours to get constructed, but add on facilities like tiles, putting a wash basin or setting up water facility along with water takes additional time. One toilet is constructed by 3 people on an average, adds Mr Mane. Previous Post: 14-Year-Old Actor Turns Real-Life Swachh Warrior, Offers Her 1 Lakh Movie Fee To Build Toilets. Next Post: Here Is How Kirkatwadi Development Forum In Pune Performing Waste Management.